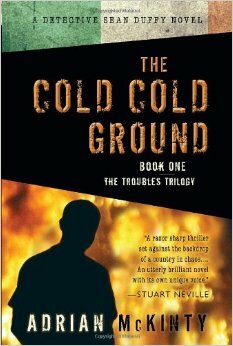 Cold Cold Ground by Adrian McKinty is an Irish noir that takes place in the early 1980’s. McKinty grow up in Northern Ireland during this harsh time, so the background in which our story takes place is from somebody that lived it. I had very little knowledge of the climate in the early 1980’s in Northern Ireland, but this book gave me some real historic insight of that turbulent time. Some of the real life history that is happening during this novel is the Princes Di and Prince Charles wedding, something I do remember, because even though I was young this was on every magazine cover and newspaper headline at the time as well as live coverage on every television channel, all two of them! So if you where home on that day watching television, you got to see the wedding whether you wanted to or not. Unfortunately I did not know much about the real news of the time with the hunger strikes, the riots, and the fighting among the Protestants and the Catholics. As well as England’s attempts to stop all this without siding with terrorists in any way and Margret Thatcher being the head of that balancing act. This is the first of the Sean Duffy books and there are 4 books in the series with the 4th just being released. After reading all the great reviews on like-minded blogs and on goodreads, I had to jump in and start the series. The story is Sean Duffy is Catholic and has recently started working in a small Northern Irish town with a mostly Protestant police force. A dead body is found in an abandon car with a gunshot wound and the hand cut off. It is soon found out that the hand they found with this body is not from the same person. They soon find the other body the hand belongs to. The pattern shows homosexuals are being targeted by a serial killer. Our detective is also given a second case of a young women that appears to have committed suicide in the forest. Duffy just doesn’t feel right about the suicide, and starts asking questions. Where has she been for the last 6 months? Is her ex-husbands incarceration and announcement he is starting a hunger strike have something to do with it? As our story goes on and the more we learn the more questions we have. This is a very good book and I look forward to reading the rest of the series. I do have to take a break from Duffy for now, this is not a light read, but I will be back soon. 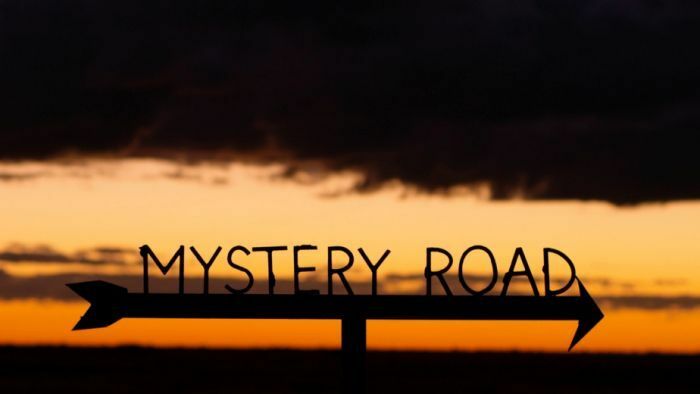 Mystery Road is a neo-noir from Australian written and directed by Ivan Sen. Sen is an up and coming director in Australia who was able to get an all-star cast to do this film with him. Our lead is Aaron Pedersen as an indigenous detective who has returned to his home town after 10 years of working and training as a detective elsewhere. The two biggest names for American audiences will be Hugo Weaving and Ryan Kwanten. Hugo Weaving has a role as a hardboiled detective who has been on the force for a while. Ryan Kwanten plays a smaller role but it is a very interesting one. Bruce Spence of Mad Max movie fame plays a small role of a coroner. Our story starts with a trucker stopping along side the road, hears something strange…maybe a dog…a big wild dog? He follows the noise and finds a body of a young girl. Our detective comes on the scene to start the investigation. He knows the girl as a friend of his young daughter. As our story continues, he is worried for his daughter’s safety. The mystery grows deeper as he uncovers drugs, corrupt cops and prostitution. This movie shows a lot of the racism in Australia towards the Aborigines as our hero has to work with a white police force and try to gain the trust of his fellow Aborigines, all while he tries to solve the murder of this young girl. This film has a great look with its desert landscapes, small town flavor, and ghetto like living of some of its citizens. This film starts out with a bang, and then slowly burns to an explosion of an ending. I enjoyed this film with its very noir story where we never know what quite is going on and where it is going. We may still feel that way when it is all over as well. This film is worth a look for any noir fan or those that just want an interesting view of the Australian outback. Favorite Tidbit: Samara Weaving has a cameo as a police officer’s wife. She is the niece of Hugo Weaving. Looks like acting runs in the family. Bastards is a neo-noir from France written and directed by Claire Denis. This is an idea ripped from the French headlines about wealthy, powerful men and a prostitution ring. This is my first Denis film and it is supposed to be one of her darkest so far. I hope so, because this is very dark! Denis has teamed with Vincent Lindon before and wrote this movie with him in mind. Lindon plays our protagonist who is a Sea Captain and comes back to Paris after hearing the news of his brother-in-law’s suicide. Our femme fatale for this film is played by Chiara Mastroianni who is married to an older man and lives upstairs from Lindon’s recently rented apartment. This has a slow pace and sparse dialog, but every little thing you are seeing seems to be important. The story is told with a few flashbacks that show us what happened the night of the brother-in-law’s suicide. The older man living up stairs is played by Michel Subor in a small but pivotal role. He might be the performance of the film with his body language and how he evolves through out the film. Julie Bataille plays a widow, mom and sister to our protagonist. She is in a desperate situation with an insurmountable amount of problems to overcome. Lola Créton is our protagonist’s niece. She is very troubled and as the film goes on we find little clues to why. Our story starts with the suicide of the brother-in-law and his daughter walking down a side street naked and disoriented. We see our hero getting the news on his ship and this is all before the opening credits role. We flash forward a month where our hero returns to Paris to help his sister get her affairs in order and to help his niece who is still in a mental hospital. As the film goes on we don’t really learn as our protagonist learns as we are used to. We do learn as things go on, but the audience is left in the dark for a lot of this film. It is worth watching to the end to see where all this goes, but be warned, it is disturbing and not for the weak of heart. This movie will stay with you for a while after you see it. Favorite Tidbit: This film is inspired by Akira Kurosawa’s movie The Bad Sleep Well. I hope to watch and review this film soon. This movie is for fans of Denis and other French films tackling tough subjects. Neo-noir fans that can handle a little darker and more disturbing content then the norm will…I was going to say enjoy this film, but I don’t think this film is meant to be enjoyed. Alain Delon plays our main protagonist and appears in a number of Melville movies. 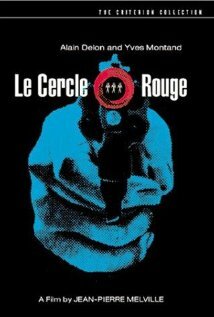 Delon/Melville seem to be the French version of the USA’s De Niro/Scorsese. 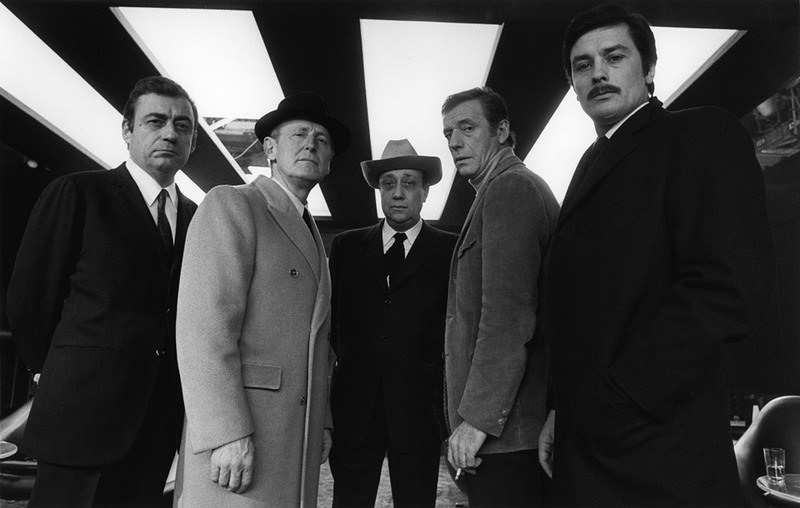 Bourvil plays the police detective set on the case. Gian Maria Volonté plays a recently escaped convict on the run and teams up with our hero for a big score. Yves Montand plays a retired cop with chemical dependency issues and knows both our lead detective and our escaped convict. He teams up with our thieves for the big score. One of the things this film is famous for is the 25 minute heist scene. There are no words spoken and had to be influenced by Riffi from 1955. I will re-watch Riffi and review it later for this site. Our story starts with our protagonist in jail and is visited by a money man that lets him know he will be getting out tomorrow, on one condition. A job, one that is made for him and one that he will get away clean, as long as he doesn’t screw up! Famous last words, right? We also have our convict handcuffed on a train in the company of our lead detective, he escapes and is on the run. Our two outlaws meet in a very unusual way and our adventure begins. I also seen small similarities in Ocean’s Eleven. What other movies do you think used this for inspiration? Let me know in the comments below. There has been a remake in the work for years, with Orlando Bloom and Liam Neeson rumored to be attached. From some reports this may be dead now. A remake could be brilliant or it could be a big disaster. How do you remake a classic of this caliber? Worst case scenario is a remake will bring attention to the original. This is a must see for neo-noir fans, and foreign movie fans alike. It is a little long and the pacing deliberate, but is well worth your time. 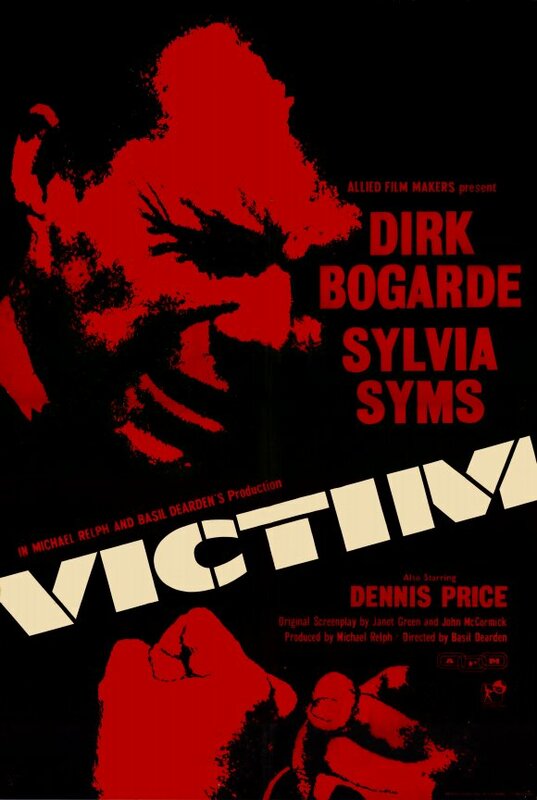 Victim is not a timeless story, in fact if taking place in today’s world it would be almost pointless, and that’s a good thing. 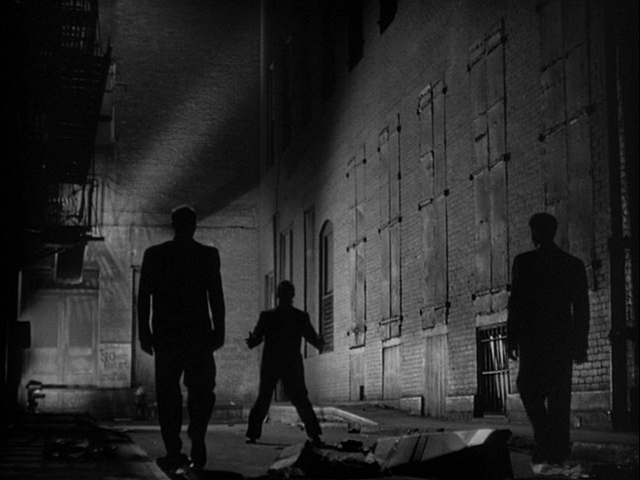 This is a British film, filmed in Black and White with classic film noir shots. 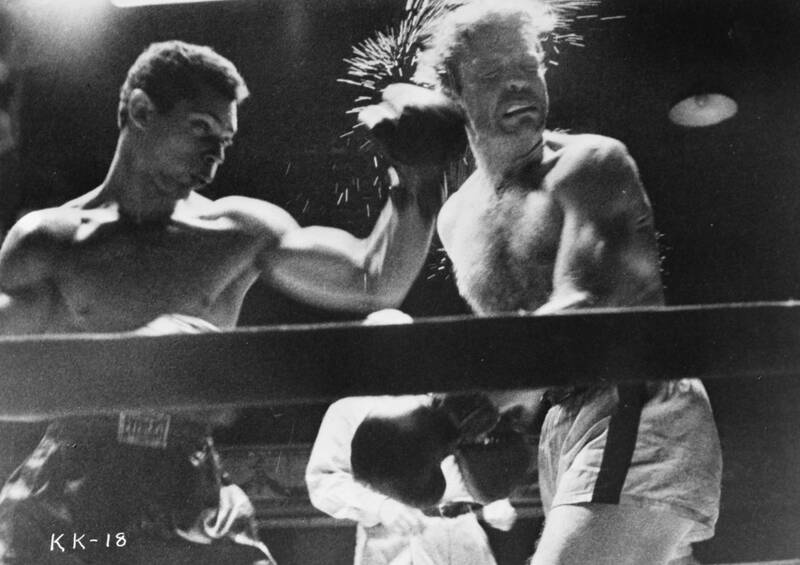 This film would never have been made in Hollywood in 1961. This is a very interesting film for its time, It raised quite a stir. This film wasn’t even allowed in the United States at first, then this film was giving an X rating upon release. To see how times have changed, when this was released in 1986 on VHS it was given a PG-13 rating. In Britain it currently has a PG/12 rating. This film has no scene of violence or sexuality to speak of. This was the first English language film to say the word “homosexual” in it. 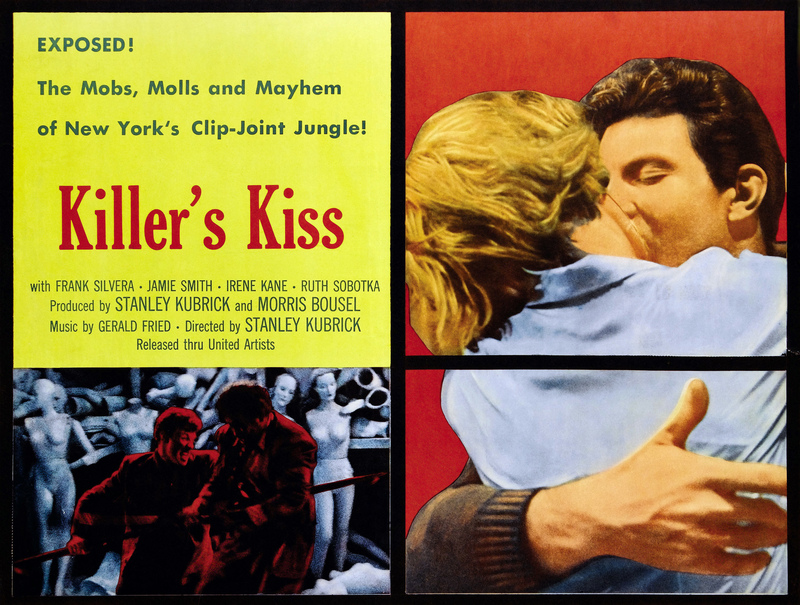 At the time this film was made, homosexual activity between two males was illegal. At this time in the early 1960’s the police had been really lax in enforcing this law. That did open up the opportunity of blackmailers to take advantage of the law. Law Enforcement was pretty lax at trying to find these blackmailers as well. That is the basis for this film. We start with Barrett, played by Peter McEnery running from the police. He eventually gets caught and is questioned why he has stolen over 2,000 pounds from his employers. He is flat broke and the detectives quickly determine that he has been blackmailed. The whole time he is running, he is trying to get a hold of our hero, the lawyer Melville Farr played by Dirk Bogarde. We soon find that Farr and Barrett knew each other and may have had a relationship, this is very ambiguous and depending on the editing of the version you see, may be more or less so. Farr is married to a wife, played by Sylvia Syms, she seems pretty forgiving, especially given the times this film takes place in. When Farr is brought in by the detectives for questioning we get some harsh news and Farr starts his own investigation to find the blackmailers. This has some holes in the plot for sure, like if you’re a blackmailer why would you blackmail the young single working class man, instead of the rich lawyer with a wife? This film may have been one of the things that helped get the laws for gays changed in Britain, which came 6 years later in 1967. In that way this was a very timely and very important film in the early 1960’s and is worth viewing for capturing a pivotal time in human rights. Outside the politics of this film, we have a decent plot with some twists and turns, a red herring here and there, but not an overly satisfying mystery on its own.